#PromoReview: The third promo of 'Iss Pyaar Ko Kya Naam Doon?' chips away a little at the plot! ...but also keeps the mystery intact! Star Plus is all set to launch their much awaited project, the third installment of 'Iss Pyaar Ko Kya Naam Doon?' franchise. 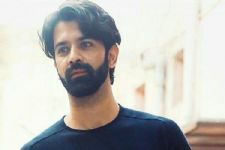 Starring Barun Sobti and Shivani Tomar, the show has been in the news for various reasons, where one of the primary one has been about the makers casting Shivani Tomar instead of Sanaya Irani opposite Barun Sobti. For the uninitiated, Barun and Sanaya were paired opposite each other in the first installment and their chemistry became a rage. Returning with a completely different backdrop, the fans just can't wait for the show to begin. The makers recently released the third promo of the show and it is absolutely mind boggling. What is the promo about? The promo starts with Chandni seein Advay in the mirror and appears like she is trying to decode the depth of Advay's thoughts. In the meanwhile, Advay is seen self reflecting on how he does not know what inner peace he will achieve by blaming Chandni, but if he does not blame her, then he will become a culprit in his own eyes. 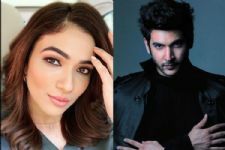 While the first two promos gave us a glimpse of an unapologetic Advay Singh Raizada trying to harm the innocent Chandni, the third promo shows us another facet of Advay, where his conscience comes to play. According to us, there is nothing bad about this teaser. In fact, we can easily say that the makers have 'teased' something important about the plot, but not really 'anything' in this promo, which has piqued the interest even more. The revelation of Barun's conscience was a necessary step that the makers took in these visuals. 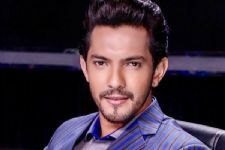 But keeping in mind the audience's acceptance, we wish the makers would have revealed a little more of Advay's side of the story. This small peek will only leave the audience even more confused. The makers have played smart here. While the previous two promos were too puzzling, this one revealed just a little 'more' about the mysterious plot. In fact, if you'd ask us, we liked this promo even more that the previous ones. Love you Sanaya Irani, you are beautiful and talented, amazing dancer. First of all, why use SI's name when she is not part of the show? To again instigate the fans and create uproar? Man you media people are sick! Second, the promo looks okay to me, doesn't tell much, just the same repeated lines from the previous promos. And how come y'all keep on mixing the actor with the character? Get your writing in order! A request to anyone who can read this, stop fighting each other! You aren't getting any awards from the people you are supporting. Matter of fact, they don't even know you exist! Barun Sobti and Shivani Tomar look nice together. Good luck to you guys! Barun Sobti and Shivani Tomar you look great! We are waiting for July 3! Barun Sobti I cant wait to see you on TV! All the best for IPKKND 3 ! 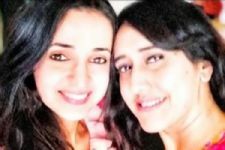 Have a relaxing break and hope to see you on TV soon Sanaya Irani !!!! Saroj Khan STRUCK WITH LACK OF WORK, Salman Khan comes to her AID!